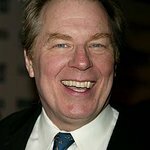 Actor Michael McKean (“Laverne and Shirley” and star of Broadway’s “Superior Donuts”) prevailed as champion of the Jeopardy! Million Dollar Celebrity Invitational Tournament during the weekend — winning $1 million for his charity the International Myeloma Foundation (IMF). This is the biggest amount ever awarded to charity in “Jeopardy!” history. It is also the largest single donation ever received by the IMF. Since its September kick-off, the tournament has hosted 27 celebrity contestants who competed in a series of monthly quarterfinal matches. A total of over $2.5 million has been donated to local and national charities selected by the stars. Kareem Abdul-Jabbar, Skyhook Foundation, $25,000. Wolf Blitzer, American Cancer Society, $25,000. Julie Bowen, Michael J. Fox Foundation, $25,000. Anderson Cooper, Friend Indeed, $25,000. Dana Delany, Scleroderma Research Foundation, $25,000. Hill Harper, Manifest Your Destiny, $25,000. Neil Patrick Harris, Food on Foot, $100,000. Jane Kaczmarek, Clothes Off Our Back, $100,000. Rebecca Lobo, Saint Mary’s School, $25,000. Joshua Malina, Archer School for Girls, $25,000. Chris Matthews, LaSalle College High School, $25,000. Christopher Meloni, Smile Train, $25,000. Isaac Mizrahi, Good Shepherd Services, $100,000. Soledad O'Brien, Soledad O’Brien and Brad Raymond Family Foundation, $25,000. Elizabeth Perkins, African Millennium Foundation, $25,000. Robin Quivers, SEED School of Maryland, $25,000. Andy Richter, St. Jude Children's Research Hospital, $68,000. Pat Sajak, Vietnam Veterans of America, $105,300. Doug Savant, St. Vincent Meals on Wheels, $25,000. Charles Shaughnessy, 1736 Family Crisis Center, $100,000. Harry Shearer, Common Ground Foundation, $100,000. Aisha Tyler, International Rescue Committee, $25,000.